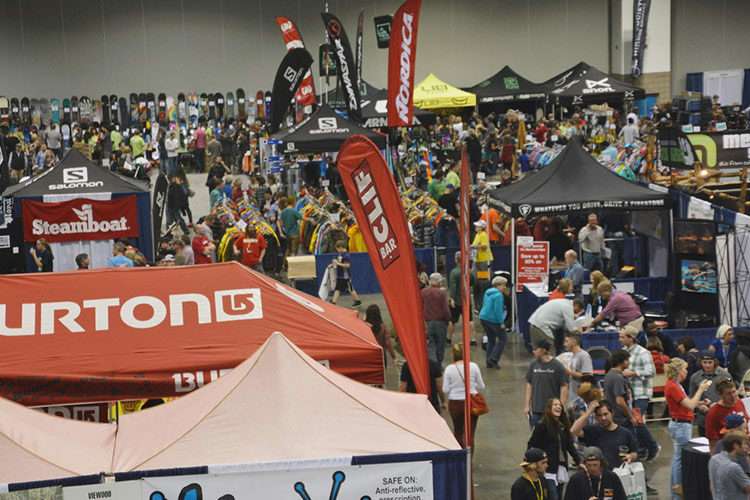 Deep discounts on outdoor gear and tons of family fun! 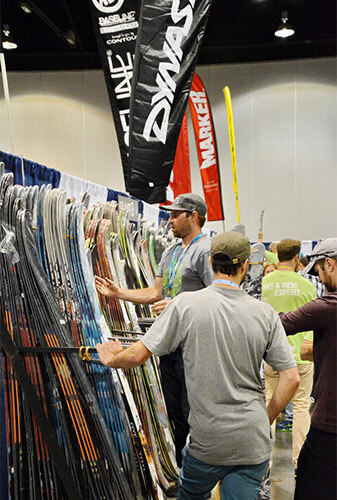 The 27th annual Colorado Ski & Snowboard Expo returns to the Colorado Convention Center Nov. 16-18, 2018 with its gigantic sale on ski and snowboard equipment and accessories, family entertainment, vendors, and representatives from Colorado’s mountain resorts. This is also the last chance to capture early season pricing on season passes. Shoppers can expect discounts of up to 70 percent on last season’s gear for children and adults. The timing this year, just days before the Thanksgiving weekend, makes it an ideal time to get a jump start on holiday shopping. Family-friendly attractions and entertainment include a high ropes course, fitness challenge, and a learn-to-ski dry slope for “never-ever” skiers. Debuting this year at Expo is the Electronic Longboard Demo Course. Children and adults can play on the latest skateboard innovation that is easy and fun to ride–and come equipped with brakes. Beginners can get the feel of the long boards while taking a few laps on the outside of the oval course. After mastering the motion, participants can test their skills and speed on the timed slalom circuit course for prizes. 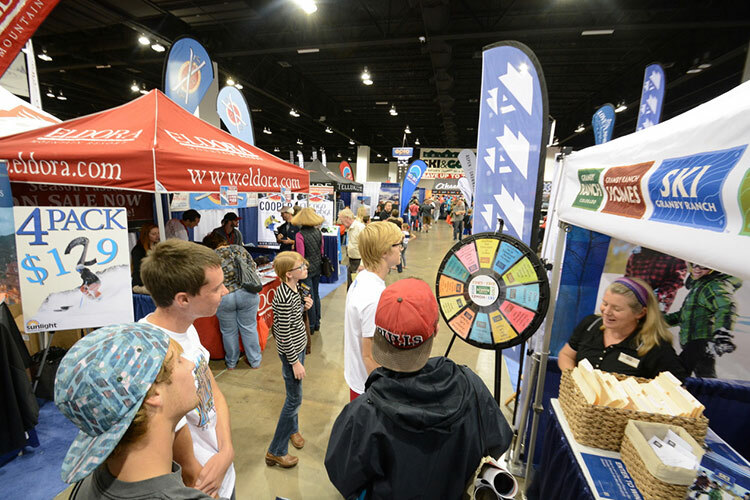 Admission remains $15 for adults or $12 with a discount coupon available in The Denver Post or online at www.skisnowexpo.com. Kids 12 and under are free. Each adult ticket purchase includes a free $10 gift card from GetSkiTickets.com and a one-year subscription to SKI Magazine. Newcomers to the Front Range can learn about Colorado’s resorts and how to become skiers and snowboarders through deeply discounted “first-timer” lesson and lift ticket packages. Some programs even offer first-timers a free season pass after completing their first few days of lessons. Experienced skiers and riders return each year for the great deals and to gather information about resorts throughout Colorado, the western United States, and Canada. Multi-resort, multi-national, and even multi-international season passes will be on sale. For pure entertainment, the Skyriders trampoline exhibition showcases the strength, flexibility, and skill of world-class ski, snowboard, gymnastic, and trampoline athletes. In the Slackline Competition Area, pros flaunt their extraordinary balance and athleticism while executing tricky maneuvers on a single, wiggling cable. Kids can attempt to conquer the Slackline in the demo area. As always, the Rocky Mountain Beer Garden offers adults a respite with a variety of local and regional craft brews.